The lightweight Uphill 16 LW Rucksack has a 16-liter capacity. The eco-friendly material used for this minimalist backpack is lightweight, siliconized 40-denier ripstop. 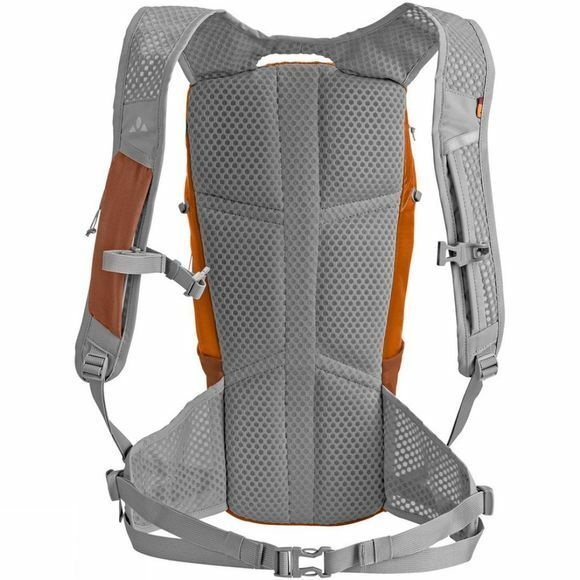 The mesh pockets are made of thin mesh material and an extremely lightweight construction was used for the shoulder straps, hipbelt and buckle closures. The external multifunction lacing has a triple function: it is used for compression, as a helmet holder, and as an additional attachment option for a jacket, for example. The body-contact suspension system provides close-fitting comfort on extended bike tours. In the pocket on the shoulder strap, you can stow power bars or gels for quick access when your energy starts to wane. With a hydration system port and a pack sack with integrated raincover. 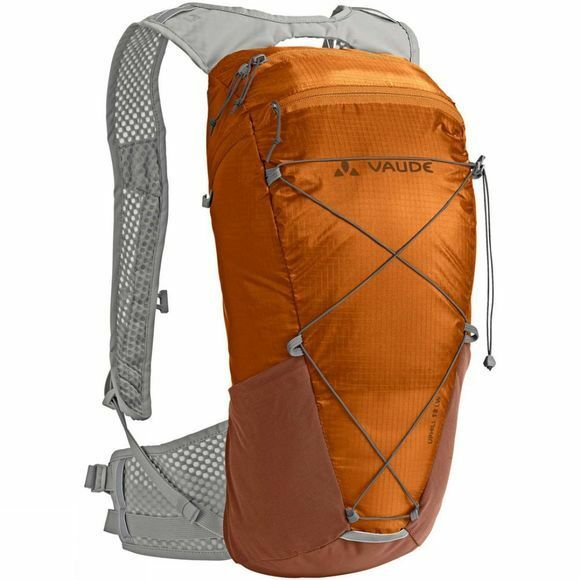 Green Shape is Vaude's guarantee for environmentally friendly products – from sustainable materials and resource-friendly production.